Doors, doors and more doors – this is what you will notice in Denmark’s oldest city, Ribe. It’s a great town to visit and I would recommend two days if possible; I had just an overnight and a morning which I think was too rushed. Stay: Hotel Dagmar. 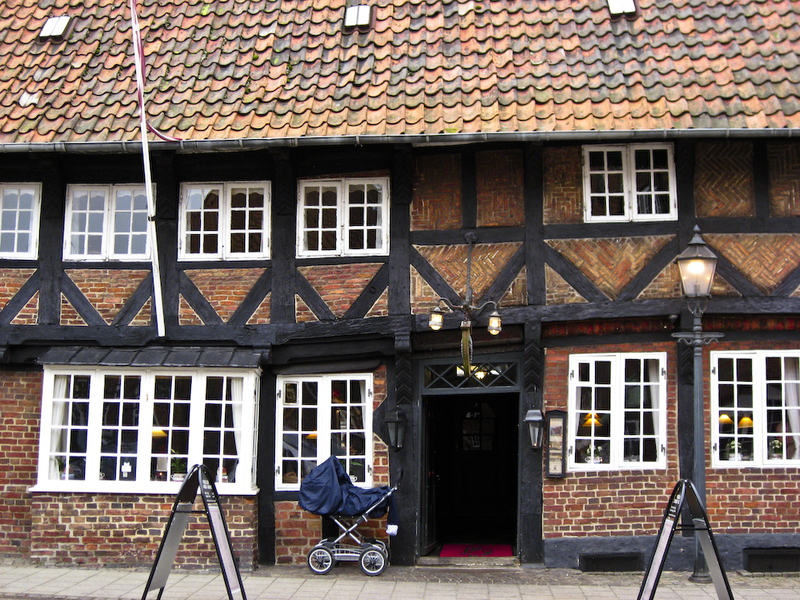 This hotel dates back to the 16th century making it one of Ribe’s oldest and is a great stay right in town. The rooms tend to be on the small side so if space is something you need, make sure you pay for it. It’s also quite dear for what it is so should you need cheaper, you can get rooms above the kro (pub) across the street for half the price but be prepared to share a washroom. Also, there is no elevator so don’t bring a lot of luggage! Breakfast is included and is so amazing! 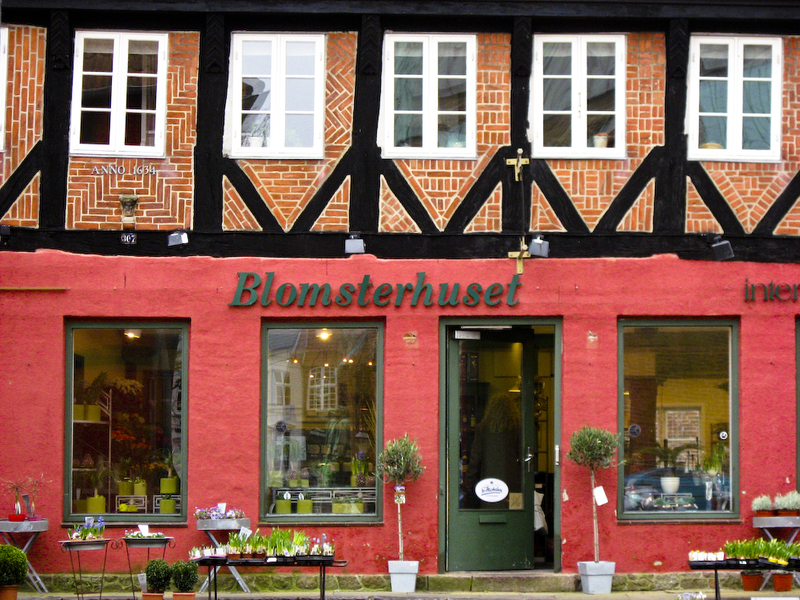 Shops: all the quaint little shops in Ribe are around the main square including the most amazing florist. If you’re visiting someone you’ll need to stop in here and if not, stop in anyway for pure inspiration. They also sell beautiful little vases/cups that you can put in your luggage. One of my favourite little boutiques here was the charming Idebutikken. The woman who runs this shop only sells things from Scandinavian artists. It was here that my mum bought me my birthday present by artist Krebs Keramik – a beautiful, charming little glass girl that looks exactly like the stick figure version I draw of myself! There is also a wonderful home store that offers tax-free shopping. Bodum supplies abound but also wonderful cutlery (my mum snagged some more for her set), linens, candles and so on. I can’t recall the name but you won’t miss it. And you won’t miss the little tea shop either (or rather, you shouldn’t). And then there’s the Cathedral which dates back to the 11th century and is the centre of the old town (and across from Hotel Dagmar). Behind it is a second hand shop that had some good deals, a bakery that did too and more cafe’s. It’s a beautiful city to walk and just soak in. I’d recommend two nights here and laze about the town instead of rushing through it in a morning like I did.